Asia has been given 6 trillion reasons to act on gender equality, following another damning report from the OECD. In a report released as part of International Women’s Day events on March 8, the Paris-based organization found that while governments worldwide are paying more attention to gender equality, “progress is too slow and uneven” amid “entrenched social and cultural norms” that maintain discrimination against women and girls. The income loss worldwide attributable to gender-based discrimination was estimated at $6 trillion, 7.5 percent of global gross domestic product (GDP), or nearly the economies of Japan and South Korea combined. Notably, the biggest gender pay gap in the OECD is in South Korea, where the difference between median full-time earnings of men and women as a percentage of male median earnings was calculated at 34.6 percent. Neighboring Japan ranked third-highest at 24.5 percent, with the United States also a high 18.2 percent compared to the average 13.6 percent gap across the 36-nation OECD. “Despite a global realization that women’s equality is an urgent priority, we are moving too slowly in closing gender gaps, and in some countries gender gaps have even widened,” said the OECD’s Chief of Staff, G20 Sherpa and leader on gender issues Gabriela Ramos. The OECD’s “2019 Social Institutions and Gender Index (SIGI) Global Report” pointed to progress since the previous edition in 2014, including paid maternity leave being guaranteed in all but two countries and declining social acceptance of domestic violence. “On a global level, the prevalence of girl child marriage has stagnated at 16 percent, the proportion of women who have suffered intimate partner violence at least once in their lives has remained unchanged since 2012, and fewer than 24 percent of parliamentary seats are occupied by women, only two points better than in 2014,” the report said. In China, for example, the former one child policy and a cultural preference for sons has created a gender imbalance, leaving large numbers of men single, especially in rural areas and sparking human trafficking and forced marriages. The OECD also pointed to women comprising the majority (58 percent) of public sector employees but only 29 percent of parliamentarians and occupying just 28 percent of ministerial posts. “The higher the position, the lower the proportion of women in many OECD countries across all branches of power,” the report said, noting that women represented an average of just one-third of senior public servants, lawmakers, and supreme court judges. Meanwhile, a report by the Geneva-based Inter-Parliamentary Union showed Asia’s parliaments lagging in female representation. Japan ranked the lowest among G20 nations and 165th of 193 nations surveyed, with women accounting for just 10.2 percent of its lower house lawmakers and 20.7 percent of its upper house, as at January 1. India placed 149th, with its female proportions at 12.6 percent and 11.5 percent, respectively, while South Korea placed 121st with just 17.1 percent female lawmakers. At the bottom of the list, though, were South Pacific nations Papua New Guinea and Vanuatu, with zero women lawmakers, along with Micronesia. The latest findings follow December’s “Global Gender Gap Report 2018” by the World Economic Forum (WEF), which gave the Asia-Pacific region mixed results. While New Zealand ranked seventh overall and the Philippines eighth, China ranked 103rd, Japan 110th, and South Korea 115th among the 149 nations surveyed. Globally, “there is still a 32 percent average gender gap that remains to be closed,” the WEF’s report said, with the biggest disparity concerning political empowerment. Based on current trends, the forum said the global gender gap “will close in 108 years across the 106 countries covered since the first edition of the report,” with economic and political empowerment taking 202 and 107 years to close, respectively. How much could closing the gap benefit Asia? Previous estimates for Japan have projected a potential 13 percent increase in GDP and an 8 percent rise in per capita GDP should it deliver on the promises of Japanese Prime Minister Shinzo Abe’s “Womenomics” and close its gender gap. The International Monetary Fund has pointed to even bigger gains of up to 35 percent in GDP for lowly ranked nations, including from both productivity and growth benefits. It recommends policymakers reform taxes to incentivize female labor force participation, as well as adopting measures to expand childcare and elder care along with tackling gender inequality in education and health care. The OECD also recommends action to transform international conventions into national legal frameworks to abolish discriminatory laws, as well as reporting publicly and regularly on progress toward gender equality. With a string of elections planned in 2019 in Asia-Pacific nations including Australia, India, Indonesia, Japan, the Philippines, and Thailand, the opportunity exists for more women to enter parliament, should policymakers and political parties encourage female participation. 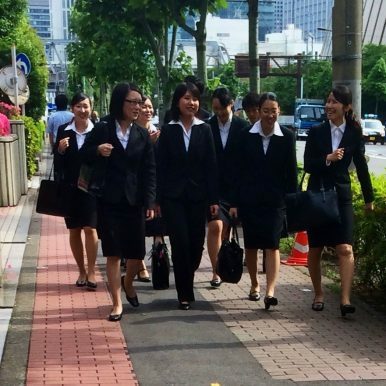 Declining workforces due to low birthrates and minimal immigration have also made it imperative for Asia’s heavyweights such as China, Japan, and South Korea to encourage greater female participation in the labor market. We know that the unlevel playing field between women and men has substantial economic costs and can impede the economic health of nations. What we are now learning is that these costs are even larger than we thought. Now that we see the full picture, the case for greater gender equity has become even more compelling. Much like Japan, Korean women face serious inequality issues.